Mark your calendar, November is a month full of national holidays and celebrations in Panama, starting November 2nd, the day of the dead. In Panama, there is no alcohol sold on this day, and it is generally a day of mourning. People are asked to refrain from playing loud music and partying. The bands begin to play on November 3 commemorating separation from Colombia. Bands composed of drums and trumpets, called Dianas are traditional and are a big part of November’s national holidays. Fiestas Patrias always brings a crowd out to the beach, so expect more people around Coronado this month. Also expect public offices, banks and some stores to be closed. 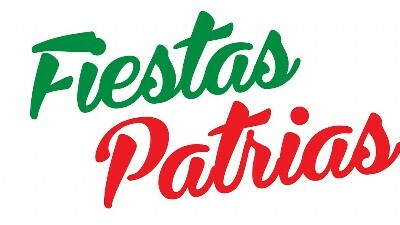 This is the beginning of las Fiesta Patrias (Patriotic Parties) in Panama. The day commemorates November 3, 1903 when, with the support of the US, Panama leaders declared the Republic of Panama a fully sovereign nation. On November 4 1903, the Panamanian flag was flown for the first time. The blue, red and white flag represents purity and honesty (blue), law and authority (red) and peace (white). At dawn on November 3, 1903, a Colombian ship armed with 500 Colombian soldiers, docked at the Bay of Colon with the intention to take back the port and march to the capital (Panama City). On the 5th Panamanians in Colon averted the march to the city reaffirming the countries separation from Colombia. On November 10, 1821, El Primer Grito (the first cry) for independence came from the village of Los Santos. While Panama City was already preparing for independence from the Spanish Monarchy, their intentions were accelerated by the declaration made by residents of the Azuero. On November 28 1821, Panama gained its independence from Spain, and willingly joined Colombia. 80 years would pass before Panama would become the independent nation it is today.